Say hello to the Vista® LX. Popular amenities include Corian® galley countertops, sink covers, raised panel refrigerator inserts, and much more. All this at a friendly price makes the Vista LX the introduction to Class A living that you deserve. 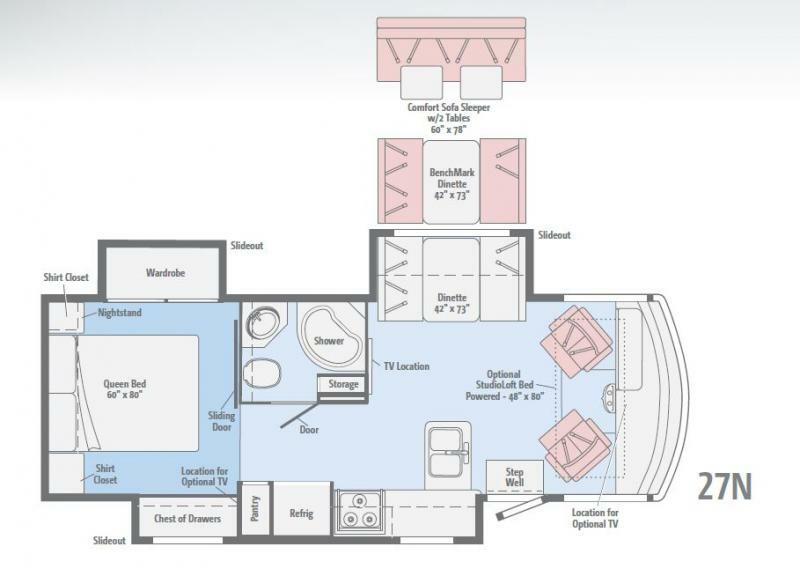 Contact Affinity RV for details on our 2019 Winnebago Vista LX 27N and start your RV dreams today!